The pharmaceutical industry has followed a brilliant two-pronged strategy to maximize its profits: raise prices and increase consumption of medications. Most of the attention has focused on just one side of the equation — prices. 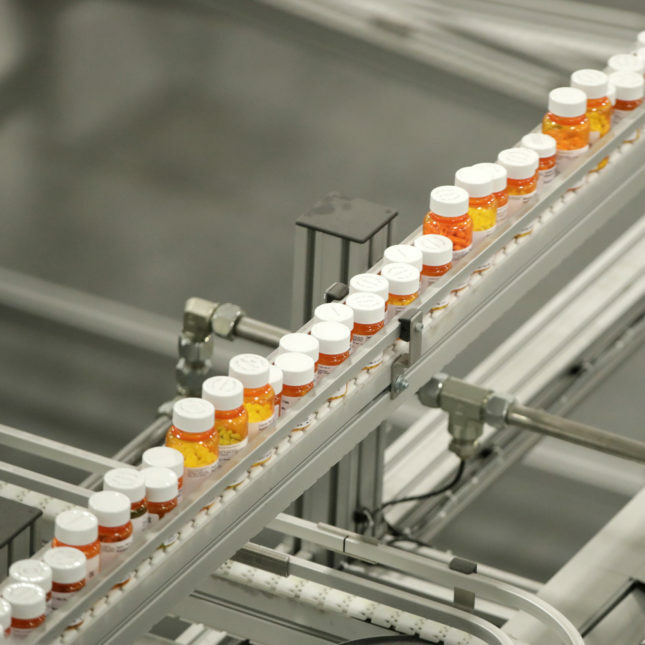 With politicians and advocates on both sides of the aisle vowing to lower drug prices, few people are talking about Americans being overprescribed medications, which not only adds to the cost of drugs but also harms millions of Americans each year. The number of Americans taking multiple medications has grown rapidly over the last two decades. Between 2000 and 2012, the proportion of adults in the U.S. who were taking five or more medications nearly doubled, from 8.2 percent to 15 percent. There’s no question that some people need several medications. But too often more prescriptions simply mean more serious harm from side effects, a phenomenon we expose in “Medication Overload: America’s Other Drug Problem,” a report we co-authored for the Lown Institute. Older Americans are particularly vulnerable to medication overload. Today, 42 percent of adults over the age of 65 take five or more medications — a red flag for harm. The rapid increase in the number of medications older people are taking has led to a sharp rise in serious side effects, known clinically as adverse drug events. We estimate that 1 in 5 older Americans — that’s 10 million people — experienced an adverse drug event in 2018. More than one-quarter of a million were hospitalized because of a reaction to medication. If nothing is done, adverse drug events over the next decade can be expected to cause 4.6 million hospitalizations of older Americans, 74 million outpatient visits, and nearly 150,000 premature deaths. Why are so many older adults taking so many medications? There is no easy answer to that question. Numerous aspects of our health care system encourage clinicians to prescribe, or even overprescribe, medications and make it difficult for them to “deprescribe,” or take patients off medications. There is the desire for quick fixes to medical problems, among both patients and prescribers. Poor coordination across care sites and poorly designed electronic medical records make it difficult for clinicians to know all the medications their patients are taking. Disease-specific clinical guidelines that encourage more and more prescriptions and fail to identify medication risks for older patients also contribute to the overprescription problem. Another theme we heard again and again during our research and interviews with patients, clinicians, and other health professionals was the role of the pharmaceutical industry in driving unnecessary and harmful medication use. The most obvious influence of pharmaceutical companies is through advertising. Drug companies spent $6 billion in 2016 on direct-to-consumer drug advertisements, which heavily promoted the benefits of medication but only offered fast-spoken (or small-print) descriptions of harms. Though Americans often joke about drug advertisements, the truth is they work. When patients “ask their doctor” about a medication, doctors are likely to prescribe it — sometimes even when the medication is not indicated and could be harmful. Direct-to-consumer advertising is just the tip of the iceberg when it comes to the pharmaceutical industry’s impact on medication use. Pharmaceutical marketing to doctors, including visits from sales reps, free samples and meals, “informational” conferences, and sponsorship of continuing medical education courses, emphasizes the benefits of medications and hides the risks. One particularly clever move by drug companies is to fund studies after a drug is on the market, to show that the drug works for other unapproved conditions (known as “off-label” uses). Abstracts and papers published about those trials act as a marketing blitz, telling prescribers that the medication is appropriate for a larger population than it may actually help. Even doctors who avoid pharmaceutical sales reps and sponsored lunches have trouble dodging industry influence. Clinical practice guidelines, which doctors and other prescribers turn to for guidance in treatment decisions, are often written by experts with financial ties to industry. In addition, the majority of trials on which the guidelines are based are paid for by drug companies, which often design the trials themselves and hire medical writers to spin the results. To make matters worse, these trials rarely include older people, leaving an information gap about their susceptibility to side effects. All of this leads to recommendations for prescribing medications as the first line of treatment and stepping up drug regimens when the first effort does not succeed. Take blood pressure guidelines: as the definition of “high” blood pressure has been lowered, older individuals are prescribed more medications, potentially increasing dizziness, lethargy, and falls, and diminishing their quality of life. To solve the problem of medication overload, we need a comprehensive set of solutions, including interventions in medical education and training, care coordination, research, and health care technology. In our report, we point to several strategies. For example, the Food and Drug Administration could require drug ads to quantify both potential benefits and harms of their products, which are, respectively, often smaller and larger than implied in current ads. The FDA can also better regulate and even restrict the promotion of off-label studies funded by industry. Payers, including the federal government, can use a variety of levers to encourage clinicians to conduct meaningful reviews of their patients’ medications, while regulators can insist on changes in electronic medical records that would allow clinicians to see all of the medications a patient is on, including those prescribed by others. Physician specialty societies have a significant role to play in creating new clinical guidelines that give advice to prescribers regarding the risks for older patients and when to lower doses or stop medications, not just when to start them. We would argue for stronger conflict of interest disclosures from clinicians and researchers who create clinical guidelines, if not outright bans on guideline developers receiving money from industry. Drug companies are starting to feel the public’s disapproval of their unfair and noncompetitive pricing tactics but have yet to face significant pressure to promote careful and appropriate prescribing. It’s time to hold them accountable for their role in an epidemic of medication overload. Government agencies, clinician groups, health care educators, payers, and purchasers also have roles to play. Far more difficult, however, will be changing America’s “pill for every ill” mindset. All medications have side effects, and taking too many is compromising the health and quality of life for millions of Americans. Please! As an ER doc, I need to know everything the patient is is on. Creating the PMP was a good foil, but I can recognize narcs. I need to know that I’m not prescribing a problem and that the problem the patient is experiencing is/is not medication related. Over prescribing medications, particularly in the elderly, has been a significant problem for over 50 years. While still in high school, my elderly grandmother lived with us. She was prescribed about a dozen medications and she became confused, demanding, and incoherent. She began to hallucinate and appeared to everyone to be suffering from psychosis. When my older brother and his Pharmacy school classmates researched the interactions possible among the smorgasbord of drugs she was prescribed, her condition finally made sense. When her medication regimen was reduced to the two of three medications that were indicated for her condition, she quickly returned to the kind, caring, and sweet grandmother we had all known. None of the “extra” medications were prescribed for her due to a lack of concern for her by her clinicians. They were trying to do the right thing. This experience was one of the reasons I chose to attend Pharmacy school. I wish I could report that in my 50+ years as a pharmacist, this was a unique experience, but I can not. One of my positions was as a consultant pharmacist to a nursing home and I found these types of situations frequently. Upon notification of the prescribers (this pre-dates physicians who specialized in caring for these populatuons), almost without exception, they were grateful for the information and well over 90% followed my recommendations. Unfortunately, things have not changed much. Pharmacists are very knowledgeable about interactions and how to streamline medication regimens, they are not paid for this knowledge and given little or no time to engage in these activities, physicians are given very little time with each patient and are generally less aware of potential drug interactions, and neither the government or health insurers are willing to pay for these services. I spent my career demonstrating the value proposition of reimbursing pharmacists for patient care services and even though the numbers always demonstrated a situations ROI, things have not changed much. THIS IS MORE EXAMPLE OF WHERE WE ARE IN THIS COUNTRY WITH THE TERM OF LABEL HEALTH CARE .I WILL SAY NO MORE . One more thoughtful but limited industry paid piece of informational propaganda. Clearly the topic deceptive marketing, lobbying and misleading policy makers, while normalizing the obscene amounts of money given to the agencies that used to regulate all of it, are off limits or censored. The Sackers and the so called opiate epidemic is the tip of the iceberg. Americans die every day from Polypharmcy, and those numbers have been deceptively buried, in the “overdose” totals. The high dollar advertising hours on TV, run pharma ads, non stop. They even run industry ads, when there is any criticism or whenever a politician of congressional hearing addresses the topic. Warm fuzzy ads, there white lab-coats juggle test tubes, and they remind us of how wonderful pharma has saved so many lives. Even Oprah jumped on the unlimited cash running pharma adds, like the other they run them back to back. Physicians, coroners and medical investigators are not allowed to mention proprietary brand names, when counting the dead, treating medical emergencies, or counting the ER admissions due to the massive marketing schemes, and suppression of information. The media owners are invested in this profitable venture, raking in billions. they are not going to cover the real fact based story, only watered down, gee whiz, topics like this. The Fact is they are Gas Lighting all of us, daily, on social media, through industry funded public interest groups, and in massive targeted ad campaigns. The Fact that people are dying, and it is costing us all billions of dollars is easily buried under the nonstop nonsense. Any journalist that mentions a brand name can be sued or attacked. The factual information on these drugs is proprietary, so only easily collected information is allowed to illuminate that facts. This is all about marketing and profits, and has nothing to do with health. Physicians have been complicit, and are now unable to speak up. The corporations they work for require silence and loyalty, or their careers would be destroyed. They are too overworked to even read the clinical trials, or assume they were done ethically. Not many long term studies were done either, that would cut into profitability. What we have here us a full blown disaster, the logical conclusion of a Market Based Healthcare System. The few regulations left are meaningless, and can;t protect us form these criminal organizations. We all saw them lie, dissemble and mislead congress. Generally, Stat covers issues of import, but too often through the lens of black and white, good guys and bad guys. They end up blaming instead of explaining. Sorry, only Hollywood movies are that simple. Real life is messy and comes mostly with ambiguities. Here’s my personal view. I’m a 73 y/o physician/psychiatrist/acupuncturist with a chronic illness who struggles to stay working. 1. It’s not the number of medications, but the doses that are important. There can be a therapeutic advantage in treating one illness with more than one pill – because each med has a slightly different effect on the body. Contrary to TV’s big pharm ads, there are no “Magic Bullets” for any illness. 2. Agreed. Big pharm has wielded too much influence with different specialties. So yes, that should not be acceptable, but it is. Given researchers’ reported “creativity” with statistics, corruption and lack of transparency of this industry’s relationship to government and insurance, along with any double-blind studies’ implicit false assumptions, I approach scientific studies with skepticism. That said, I am grateful for meds when they do work for myself, family and patients. Why should they, given what I mentioned? I am convinced the Hand of G-d is in everything, including what humans create. If one doesn’t believe there’s a Creator, then you may be out of luck to explain this. 2. Today’s Technology Driven Medicine, which includes shortened appointment times, patients talking to doctors who focus on computer screens, etc. Physicians did not demand to cut appointment times to 15 minutes. That genius idea came from government, insurance, and some national organizations that pretend to represent doctors. (Suppose your boss decided you must do twice the work/day by cutting the time for each task in half, then adding another job, using computer entries for all you did and everyone you spoke to.) Your time at your job went from 8 hours (lunch at desk) to at least 10 hours. The quality of your work would be judged not by how informed your decisions were, but by how “efficiently,” meaning fast, you entered the data. BTW, no extra pay. Those changes have created an enormous strain on physicians. The results? Younger Docs are taking early retirement, jumping off hospital buildings, etc and adding to the escalating doctor suicide rate, and turning to substance abuse. Docs Don’t Call the Shots. Don’t Blame them, they just work here. Just like you. I think the Hand of Satan is more likely. As a shrink, you and your profession have been silent on some really troublesome issues. The silence of people like yourself helped create the nightmare dystopia we have now! You do not know me, do not know what I’ve said and not said in my career. While you may accuse me of “being silent,” obviously I’m not silent here. My post represents my view, based on 45 years of practice. I get it, you don’t like what I said. Would you prefer to just blame those you’ve already decided are the “bad guys.” Given your accusations, perhaps you want to silence me here? If you are brave enough to not blame, pack up the “supremacy stereotypes” and have a real conversation, say something real in response to what I wrote. For example, you think big Pharm is the Hand of Satan? I already said I’m no fan of big pharm, don’t defend the corruption etc., that I mentioned in my post. Yes, what we have now is painfully limited. But some patients are much better off now than 40 years ago when the treatment was insulin shock, massive ECT, frontal lobotomy, etc. I am sorry if I offended you. I just find it really hard to find the “Hand Of God” in any of this. Attributing the corporate greed,and misinformation to the hand of god, is in itself troubling. A young many with schizophrenia, in my community, was shot 17 times by police. He was turned away by the local ER psychiatrist, and blamed in the subsequent PR release, by the hospital. Maybe I am wrong, I do not believe in Satan or other deities, but shooting a mentally ill person 17 times, might be EVIL? You are right, they no longer use insulin shock to treat mental illness, but they are repackaging the ECT, because the current drugs are not effective. Most of the low income mentally ill, are now housed in prisons, where they are routinely shocked with tasers, and sprayed with tear gas, instead of the horrid institutions of old. The put them in isolation, if they misbehave. The pulled one guy out after a couple of years, and his fingernails had grown into his wrists. There really has not been any meaningful progress in the last 50 years. Unlike psychiatrists that spend a few minutes “treating” the mentally ill, I am in a position to observe over time. Sure they have some drugs that are less toxic, but they have not cured or treated anything. I have met the young people, who were dosed with psychiatric medicines, only because they were in foster care. It is getting so I can pick them out, by their demeanor. What this is really is a chemical lobotomy. Conveniently, no research has been done on this by design. At our Border they gave anti psychotics and sedatives to children to keep them compliant after they were traumatized. This is pretty routine here in the US, with street kinds on low income minorities. It is widespread in prisons too, they need to keep children compliant with drugs to keep costs down. There is so much progress, I just can’t keep up! You could start by looking at popular media, or how the advocacy groups are funded by pharma. They turned the “gun violence” debacle into and advertisement for big pharma, and portrayed the mentally ill as violent increasing the stigma. Here in the US, no public issues cannot be turned into corporate advertising and propaganda. I agree with you on the corporatization of medicine, and it is causing physician suicides. You are allowed to speak, you have your own practice, but most physicians are under gag orders, their silence is required by law. Physicians are not even allowed to strike to improve conditions. The word “Polypharmacy” appears to have been removed from the lexicon, another victim of corporate propaganda. If you can’t name something it stops existing. This affects middle aged people too. I was able to end lifetime Rx from 20 years of fibromyalgia when a functional MD & biological dentist (didn’t know they existed) ID’d & treated multiple & synergistic causes. I also found that some drugs prescribed over the years had unfortunate side effects. At the same time, I needed some diagnostic tests, prescriptions and treatments to regain my health and vitality that were not easy to get, and not covered. We need deprescribing, better screening, testing and diagnosis, and #RightMeds. Another important step would be to get funding and action by FDA to reopen the MedWatcher app, developed by Epidemico in Boston, which enabled easy, convenient, fast reporting of drug and device side effects to the FDA – and easier to look up reports of side effects and health impacts as well. The authors have not included the role of the pharmacy benefit managers. These companies have reduced payments to pharmacies so they are forced to provide medications with little or no instructions or counseling for the patient. The result is these individuals do not take their medication properly and this results in needing a greater number and more costly medications. The pharmacy benefit managers have a conflict of interest because they make greater profits when this occurs. The placebo effect can be very powerful and would definitely explain why drugs can have “off-label” uses – the effectiveness of placebos for different health issues can depend on its color, taste and smell [check out the article titled “The Placebo Effect, Digested – 10 Amazing Findings” by C. Jarrett (published in the BPS Research Digest)]. The single most important culprit in US spending on prescription drug are physicians. And let’s stop beating around the bush, they are very happy to be bribed by pharmas. Besides, there are many countries where advertising of prescriptions drugs is not allowed, and for very good reasons.